Qatar is an exotic nation in the Arab peninsular of the Middle East. This coastal destination is home to more than 2.2 million residents. Qatar offers you a selection of scenic beaches and the ultramodern urban environment and culinary delights of the capital, Doha. Famous attractions include the Museum of Islamic Art, Souq Waqif, and the Corniche. Get ready for an exceptional cultural experience, because cheap flights to Qatar are now available for a limited time! The capital, Doha, is the home of Hamad International Airport (DOH), which is a 15-minute drive from the city centre. While Qatar retains plenty of features that reflect its rich history, the capital of Doha contrasts this with its ultramodern skyscrapers. The most notable include the Aspire Tower, Doha Tower and Tornado Tower. Situated on the coast of the Persian/Arabian Gulf, Qatar offers you the opportunity to enjoy time outdoors on one of its numerous scenic beaches, including Four Seasons Beach, InterContinental Beach and Katara Beach. Immerse yourself in the culture of Qatar, with a visit to the many restaurants offering live music in the capital, as well as the many souqs (marketplaces). Discover the lifestyle of the locals with visits to Souq Waqif and Corniche. Due to the extreme heat of the summer (May – September), the most popular time to visit Qatar is between the months of November and early-April (winter – early-autumn). You’ll get pleasant conditions during these months, but be prepared to book your hotel room well in advance and pay higher accommodation rates. Additionally, tourist attractions are crowded during this period. Check weather reports in advance, as sandstorms occur occasionally in Qatar throughout the year. While visiting during the summer will give you cheap flights and accommodation rates, get ready for temperatures that exceed 40°C. Such conditions will get even more unpleasant with the sandstorms. If you can handle the heat, pack plenty of sun screen, hats and light clothing, and stay up to date on the weather reports. 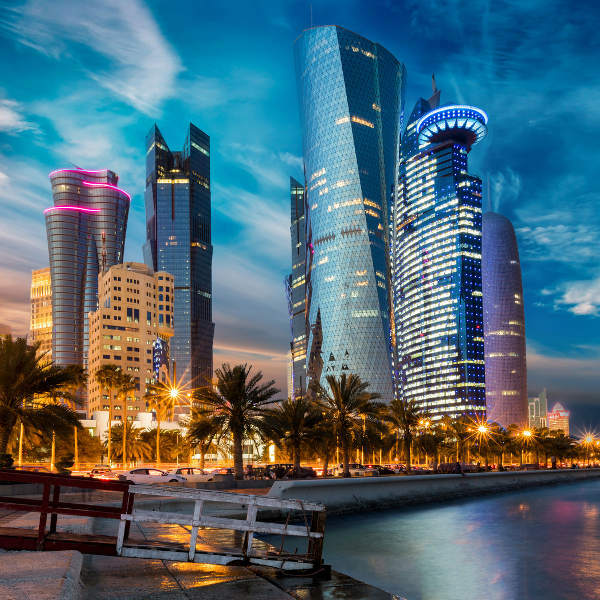 Situated off the coast of the Persian/Arab Gulf is Qatar, a destination in the Middle East, best known for its vibrant capital, Doha, and its huge selection of beautiful beaches. Prepare to discover the genuine Arab lifestyle while experiencing the futuristic scene of the country’s top tourist destination. In Doha, explore a rising world-class destination, which includes breath-taking skyscrapers like the Doha Convention Center Tower and the Dubai Towers. Admire the enchanting avenue that leads to the exceptional Museum of Islamic Art. A visit to the capital would not be complete without visiting the shops at Souq Waqif. Experience more of the Arabian culture with the live music and classic Middle Eastern fare on streets such as Al Corniche Street and Ali Bin Abdullah Street. 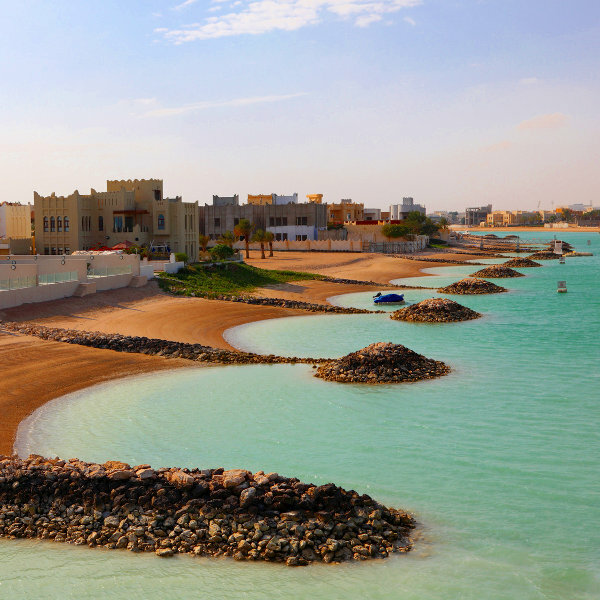 Experience the incredible beauty of the coast by spending time at the many beaches in Qatar. One of the best places to relax in style is Four Seasons Beach, which not only includes access to the coast, but additionally pools, shaded lounges and a separate children’s pool. In this country, it’s rare to have the opportunity to wear a bikini, and one location that offers this convenience is InterContinental Beach. On Sundays, escape the crowd and enjoy a walk along this stunning 500-metre beach. 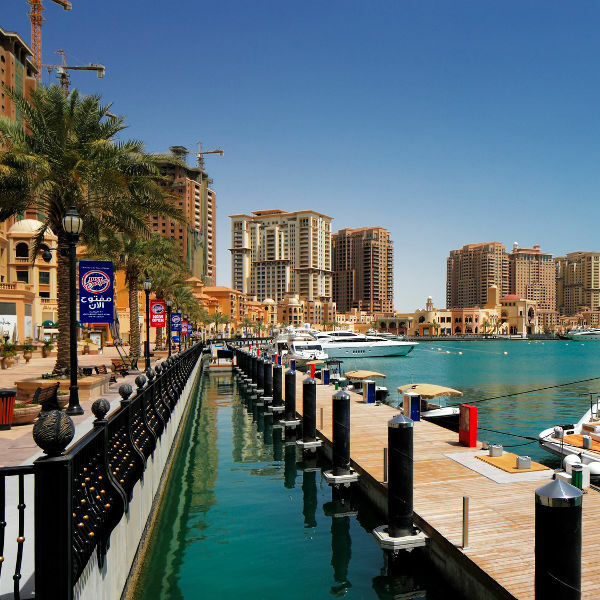 For thrilling water sports, the ideal venue is Katara Beach, where you will find many visitors parasailing, water skiing, wake-boarding and more. There are several other gorgeous beaches you can find in Qatar. Compare several airlines and book your cheap flights to Qatar online at Travelstart! Qatar is a relatively safe country. Tourists should respect the local customs and traditions, as this will help ensure that you have a safe trip. Familiarise yourself with them before arriving. Female travellers may experience some harassment in the form of men staring. All travellers, but especially women, should avoid travelling alone at night.